So what will happen when I go to the old age home? Reblogged from Toortsie’s LCHF Journey. Since LCHF (Banting) really became a lifestyle for me, I think about a lot of things, even things regarding my future! You see, I really want to do it for the rest of my life, if God permits it. So what about when I go to the old age home? Luckily it is still far from that, and perhaps I don’t even live by then. While travelling in Australia, I learned a lot. Every now and then we stop at a grocer’s store and buy goodies that are easy to handle, like cheese, cream cheese, tomatoes, salami, ham and a little bit of fruit, one per day. We also buy yoghurt but I am not sure if that is the correct thing to do as I haven’t seen double cream yoghurt with xylitol. Only full cream yoghurt with s u g a r! Not good. Oh and we have a packet full of almonds. Okay, I don’t think I can live like this forever. We don’t get breakfast in the hotels and at R150+ for bacon and eggs, I rather eat the goodies I’ve bought. So whenever we are hungry, we eat some of these goodies and once a day we try to eat a good meal, like fish or chicken and salad. I also learned again that a hamburger without the bread roll is more than enough. Many places don’t worry to give salad instead of the bread and chips, but if they don’t want to serve it like that, it still is no problem! So back to the old age home. Firstly I want to believe that by then, they also would have learned that a lower carb menu is better. But if not, I think I shall eat whatever they give me that is suitable for LCHF, leave the starch and top it up with the goodies in my room. It cannot be that difficult! And when I am so old and cannot do that for myself anymore, I ‘ll have to eat what they serve me, whatever it is. What is the first thing I am going to make when I return home? THREE eggs, fried in BUTTER! Oh, that would be nice! Njam. Next ›Wie dra die kroon? Eet n aholoandse uitsmyter! 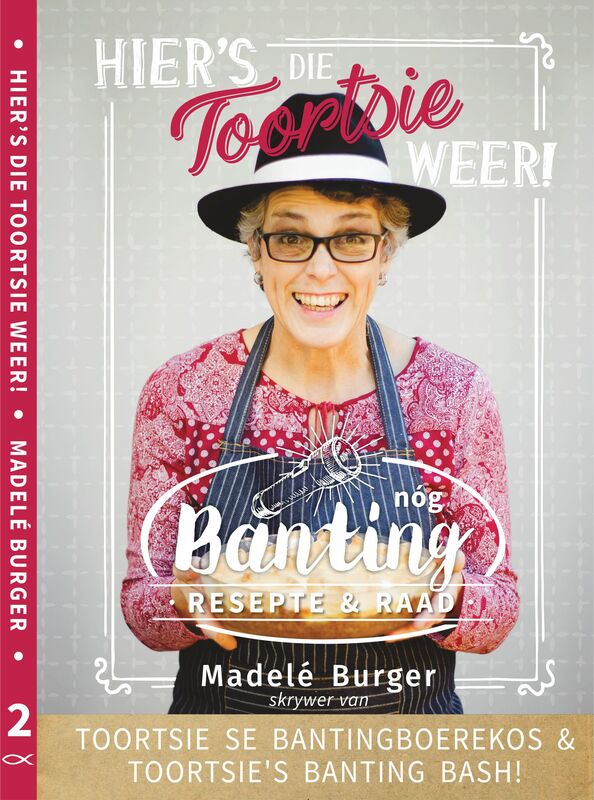 (Sonder d broid) dis h- BAIE ham, 3 gebakteceierscbo-op en n klomp kaas bo–op eiers, gesmelt sodat eiers kaas en ham n eenheid vorm.. njammies!